•	If you are in retail, you most likely want to maximize the amount of space in your store for displaying your product. Keep your showroom spacious and inviting to customers by storing all of your extra merchandise with us. We are an excellent place to store seasonal merchandise, as well. With 24 hour access, you can replenish and/or transition your showroom with seasonal items at your convenience. •	Do you refurbish furniture or equipment? Self storage units are excellent places to keep those pieces that are in need of fixing, as well as an area to store those than have been transformed and are awaiting sale. You can even use a unit as a showroom to display your work or as a staging area to take pictures for your website or online sales platform of choice. •	Renting a self storage unit can be extremely helpful to those of you that run your business out of your home. Having boxes of important papers and documents filling your office space can be quite a fire hazard. 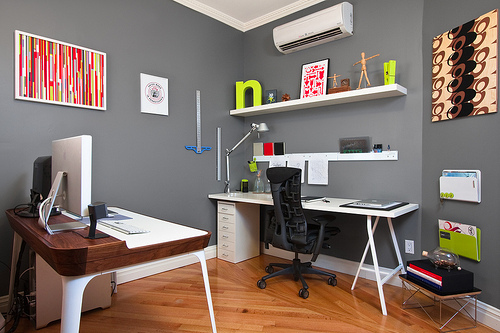 Allow us to help free up space in your home office by storing your products with us. We have a variety of both climate and non-climate controlled unit sizes available to best suit your individual needs. From make-up to medical supplies, we can offer you affordable, secure space for your files and merchandise. •	Are you a lawn care company that does snow removal in the winter months? Where do you keep all of your equipment when it’s not in use? Consider our facility for securely storing your seasonal equipment. We have outdoor parking for vehicles and trailers, as well as spaces for recreational vehicles, boats and commercial trucks. This spring, instead of trying to rearrange your office or work space to accommodate all of your products or equipment, give us a call at 973.823.9090. Tell us about your Hamburg, Hardyston, and Newton, NJ storage needs and we’ll provide you with affordable options to meet your business’ budget. Let us help your Sussex County, NJ business thrive! Check out our last blog for Business Storage Tips, Part I here.